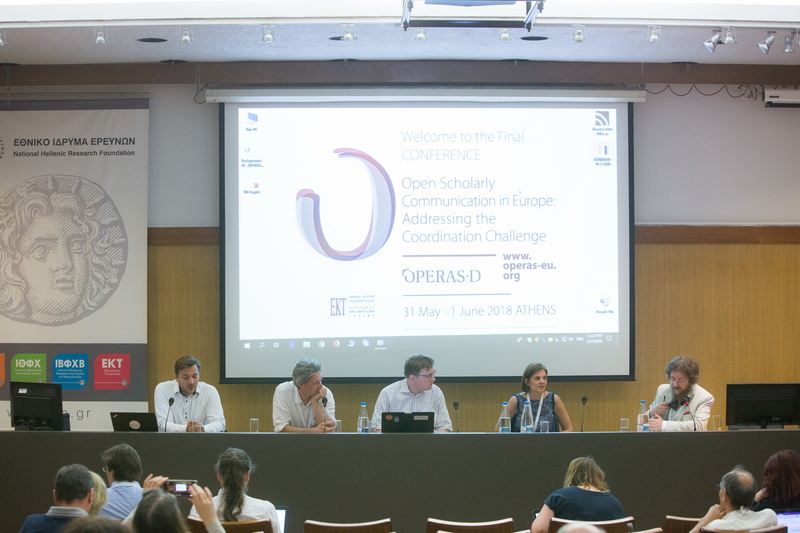 The International Conference on Open Scholarly Communication "Open Scholarly Communication in Europe: Addressing the Coordination Challenge" was organised by the National Documentation Centre (EKT), 31 May-1 June in Athens as part of the European funded project OPERAS. Distinguished speakers from Greece, Europe, North and South America presented the latest developments in Open Scholarly Communication – a term used to describe the procedure by which scientists and researchers share, communicate and publish research results so as to make them available for research and academic communities as well as the general public. 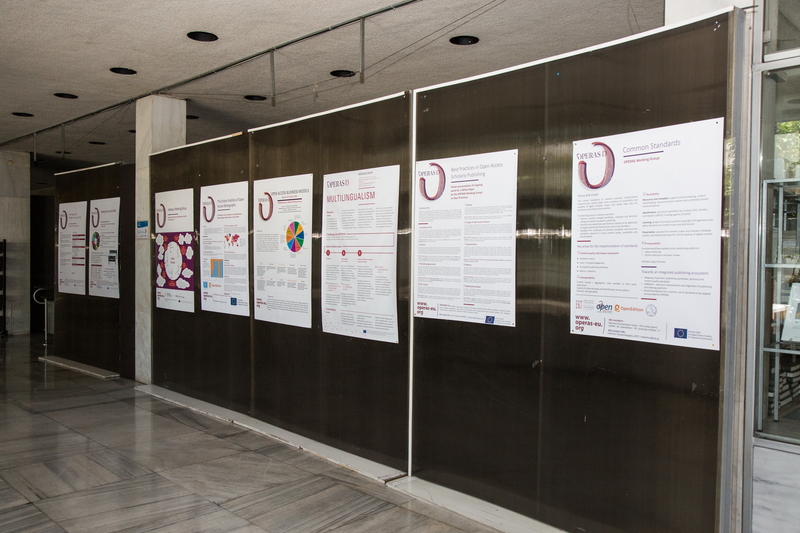 The conference targeted all those who promote open scholarly communication, highlighted and encouraging the exchange of views on the challenges arising during the transition to an Open Science paradigm, focusing particularly on the Social Sciences and Humanities (SSH). 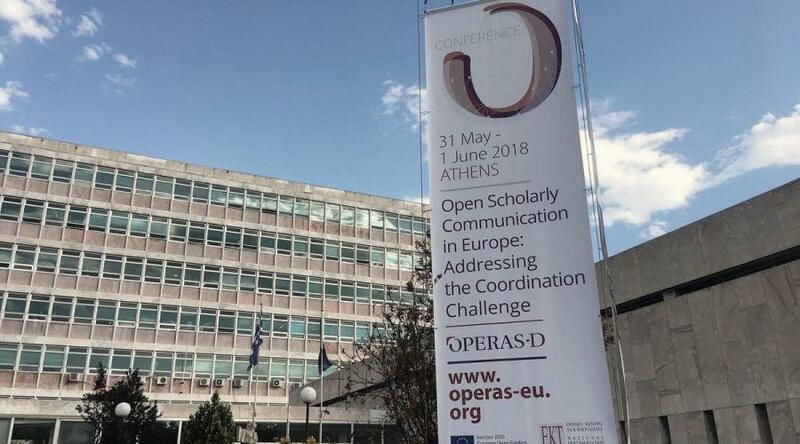 Not only was it the first OPERAS conference in this area, but it was also an opportunity to present its goals and activities to a wider public. During the first day, the European Commission’s policies and priorities for Open Science and the European Open Science Cloud as well as the actions planned in the new Horizon Europe programme were presented. 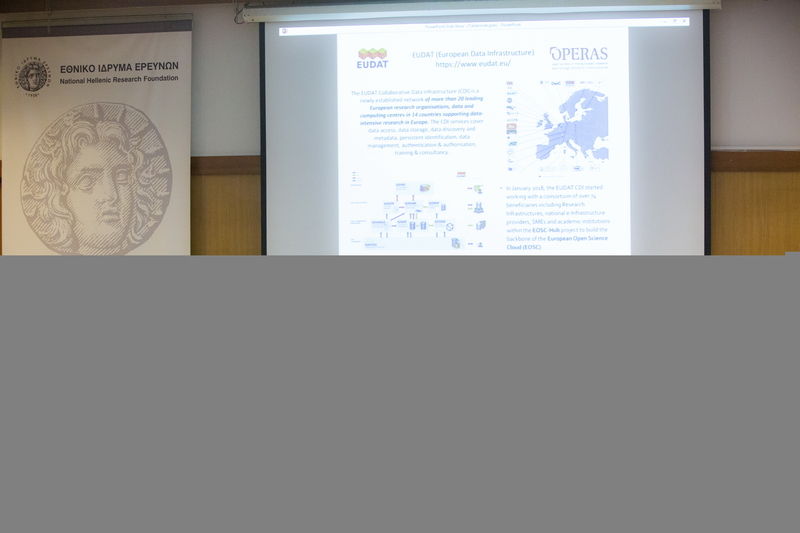 This was followed by details of OPERAS achievements which mainly aim to develop a European e-infrastructure for the development of open scholarly communication, particularly in Social Sciences and Humanities. The two main sessions of the first day focused on: a) the challenge of effective co-ordination between organisations, disciplines and countries based on the principles of Open Science, and b) funding opportunities (such as crowdfunding) which can support Open Scholarly Communication. 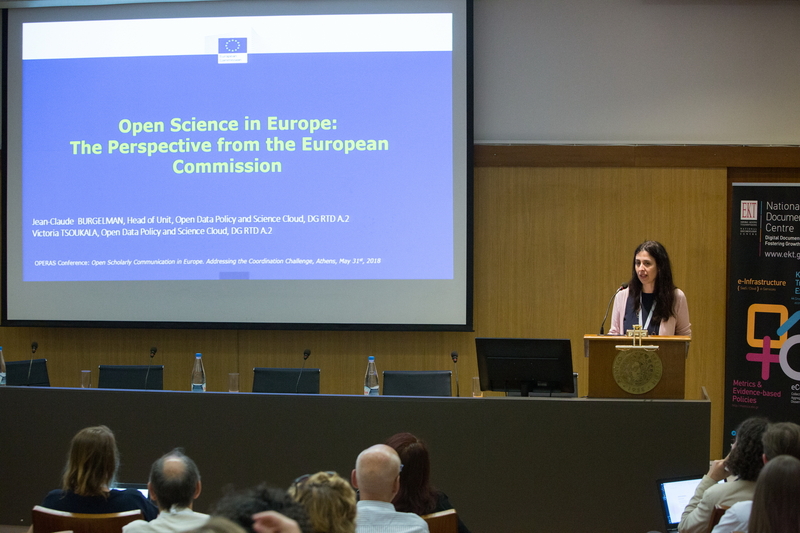 Victoria Tsoukala (DG Research and Innovation, European Commission) drew attention to the changes Open Science is bringing about in research performance and communication. Explaining that the transition to Open Science is one of the European Commission’s key priorities, she focused on its policies to strengthen and support member states in the new paradigm. 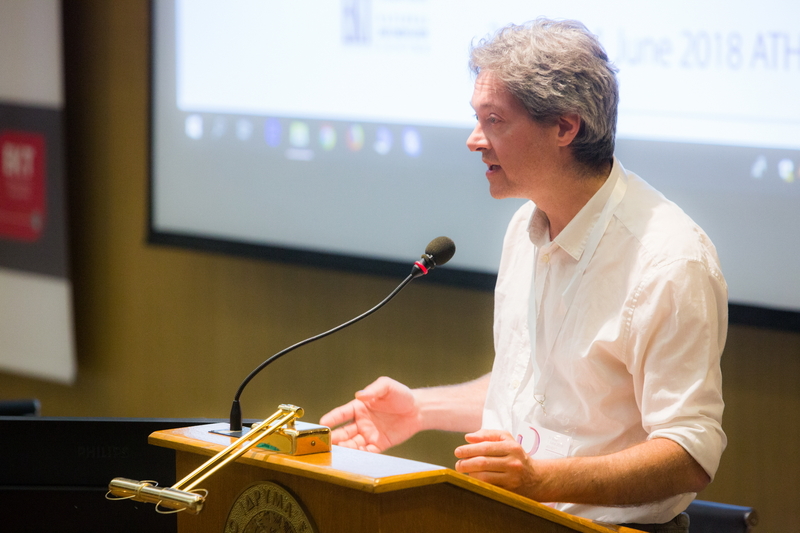 Pierre Mounier (OpenEdition, co-ordinator for OPERAS and OPERAS-D) concentrated on the project’s main actions to provide innovative support services for research and the development of a single Open Science ecosystem. These actions comprise seven focus groups designed to explore the key aspects of scholarly communication in the digital environment such as the working group on standards co-ordinated by EKT. Results of the working groups are fed into the work undertaken by the network to develop new services including a certification service and a discovery platform via the Isidore and Hypothesis platforms. The round table was an opportunity for speakers to consider different support models and the various national approaches to scholarly communication. A number of strategies were highlighted – bottom up, top down, horizontal- in addition to the individual challenges faced and the steps taken for better co-ordination, particularly within the European Cloud for Open Science (EOSC). Discussions on topics such as the Jussieu Call for Open Science and Bibliodiversity highlighted important issues such as the evaluation of researchers and the need to change the existing model. Jacques Lafait (Jussieu Call) stressed the particular importance of promoting diversity rather than imposing a model, and recognising the individual needs and practices of disciplines. Attendees were updated on funding and sustainability initiatives such as SCOSS (Global Sustainability Coalition for Open Science Services) and crowdfunding. Discussions and presentations were not limited solely to European experiences. The participation of John Willinsky (PKP, Public Knowledge Project) and Abel Packer (SciELO) once again emphasised the importance of adopting standards and quality control procedures as access to knowledge should be seen as a human right. Topic areas for the second day concentrated on existing European infrastructures and funded projects for the implementation of the European Cloud for Open Science (EOSC). The co-ordinators for openAIRE (Natalia Manola), EUDAT (Damien Lecarpentier) and DARIAH (Laurent Romary) participated in a productive discussion on the co-ordination of the activities of stakeholders towards integration of individual infrastructures into the European Cloud for Open Science. The conference was broadcast live via EKT livestreaming with more than 150 viewers, while there was also a strong presence on social media -hashtag#OPERASconf. In concluding the conference, P. Mounier reviewed the main points and announced the intention to hold similar annual conferences. Event "Open Scholarly Communication in Europe: Addressing the Coordination Challenge"